Most of the people realize that there is only one true God. Everyone pray to their religion God and bow their head in front of them. I am a Christian but I want to know some information about Islamic religion, so please suggest me from where I can buy quran with english translation. Dear Curtis , you can find Holy Quran on internet with English translation. Otherwise its available on any good book shop. 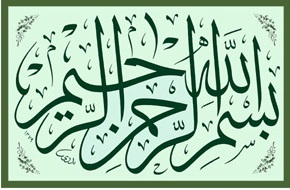 ALLAH PAK AAP KO JAZA E KHAIR ATA FRMAI AUR AAP KI IS WEBSITE KO DEEN K PHAILNAY KA ZARIAA BNAI, MUJHAY KAFI ARSA SE QURAN E PAK WITHOUT TRANSLATION KI TLASH THI AAP KI WEBSITE KI BARKAT SE MILL GYA. ALLAH PAK IS KA AAJAR DAY AP KO JIS BHI NE YE MEHNAT KI HE.